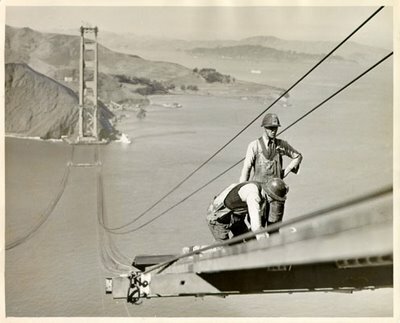 Construction began on the Golden Gate Bridge in January of 1933, and spanned through May of 1937. The famous orange-vermilion bridge was the world’s longest-spanning suspension bridge until 1964, when the Verrazano Narrows Bridge opened in New York. Throughout construction, a safety net was installed under the bridge, which saved the lives of 19 men. These survivors later became known as the Halfway-to-Hell Club.